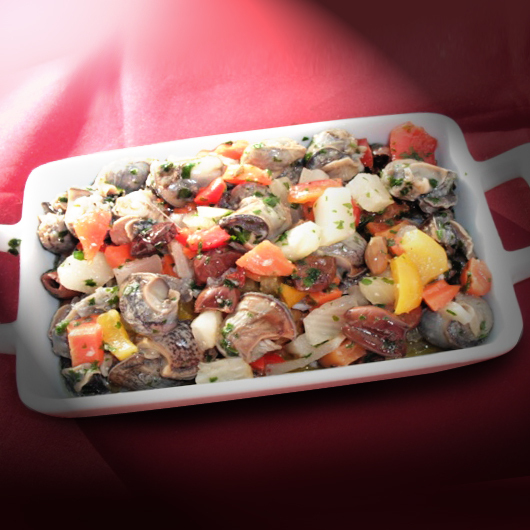 This is a cold dish made with snails, a typical ingredient from Val Padana. This fresh and tasty salad is low-fat and rich in proteins. We will not explain here how to clean and wash snails. For more details you can read the article land snails, where you will find a video tutorial on how to clean and wash them. Garlic powder or finely minced garlic q.s. 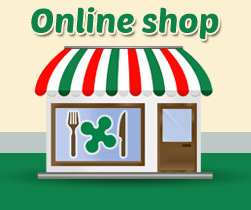 Ligurian olives (olive taggiasche) q.s. Salt, pepper, vinegar, extra virgin olive oil q.s. Clean and wash the snails accurately. Roughly mince the mixed pickled vegetables and add the snails. Add salt, pepper, vinegar and oil. Add olives, chives, garlic and mix. Leave it at least one hour in the fridge.